Picture of a Steam Locomotive built in 1870 by Head, Wrightson & Co of Stockton-on-Tees. The locomotive No 16 was one of a number built by Head Wrightson in the 1870s and was one of two that were based at Seaham Harbour until the 1960s.. 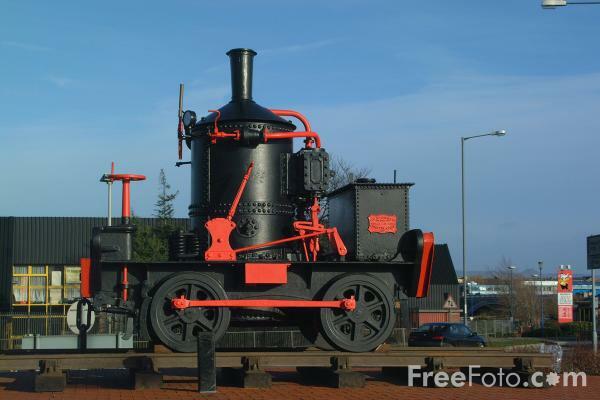 The locomotive has pride of place on the roundabout at the junction of Riverside and Bridge Road, Stockton.